I have three of my larger paintings on display at the Kentlands Mansion in Gaithersburg, MD. 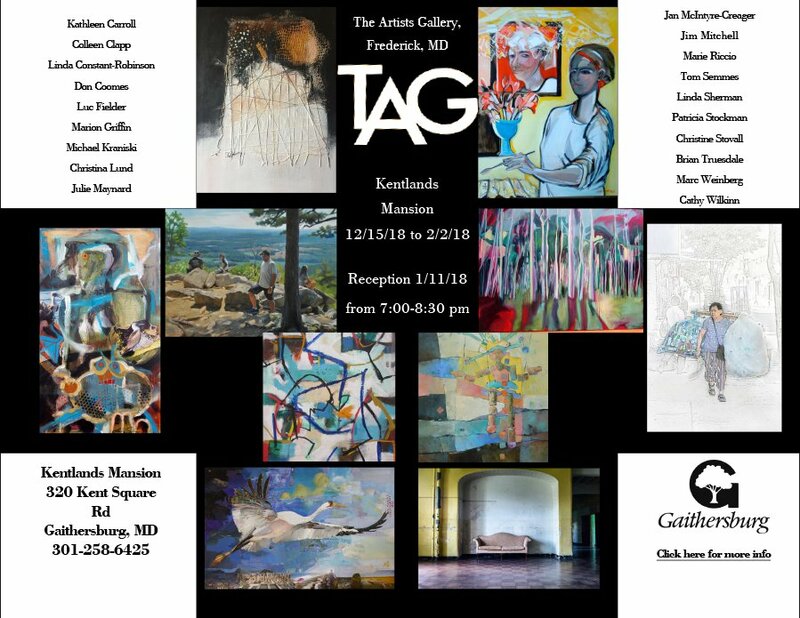 The work is part of a larger exhibit of artists from Frederick’s TAG/The Artists Gallery. The show runs December 15 through February 2, 2018.